Susan Wakefield OAM, District 9685 Governor; Angela Stansfield – Young Inspirational Woman of the Year; Vera Sistenich – Inspirational Woman of the Year; Sue Hayward, District 9675 Governor. Rotary Districts 9675 and 9685 are proud to host the 2018 NSW Inspirational Women’s Awards. We gratefully acknowledge the support of our Patron, Mrs. Hurley for these awards. 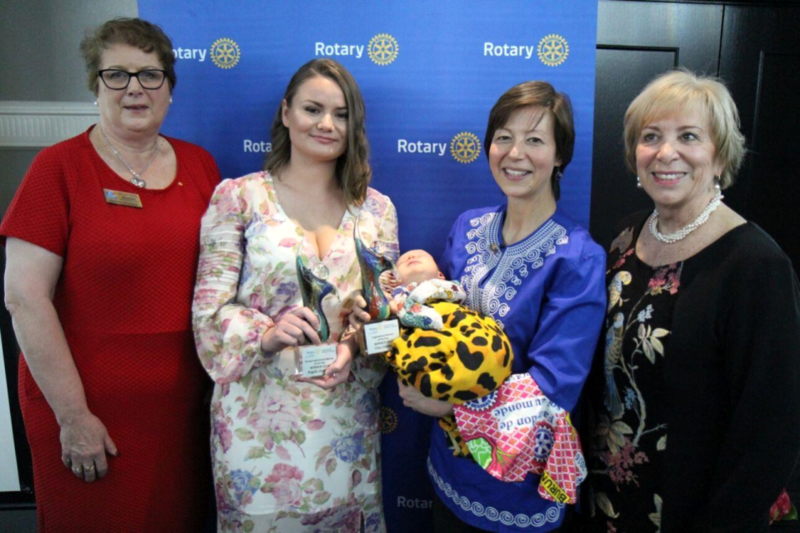 The awards are an initiative of Rotary Districts and Rotary Clubs of NSW to acknowledge and celebrate the achievements of all women age 18+, with the exclusion of Rotarians and Rotaractors. “These awards recognise the many extraordinary women of New South Wales and the ACT, and their service to the community across all sectors in both professional and voluntary capacities. Each of the women nominated for these awards has demonstrated commitment, dedication and a pro-active desire to make a difference in improving the lives of others. In harmony with Rotary’s motto of Service Above Self, The Inspirational Women’s Awards judging criteria requires nominations to provide examples of volunteering and service in the community carried out by women, over and above their normal role/duties. Funds raised through the awards will be donated to support an Australian Rotary Health Scholarship for a young female GP to assist with expenses during her 12 months placement in a Rural GP Practice. Following their individual recognition, overall winners of each category, were announced and celebrated by family, friends and colleagues at the luncheon ceremony held on 26 August 2018.